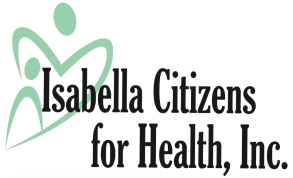 Patient Satisfaction Survey - Isabella Citizens for Health, Inc.
Isabella Citizens for Health strives to provide the highest quality care to patients. In order to continue to improve our services, we encourage patients to fill out Patient Satisfaction cards during their visits. If you forget to fill out a Patient Satisfaction card while you are in the office, you can complete an online version here. ​Below are patient satisfaction results for our Family Practice site and Pediatrics site from October - December 2017. If patients would like to discuss their experience further, they are more than welcome to contact Management at (989) 779-5662.